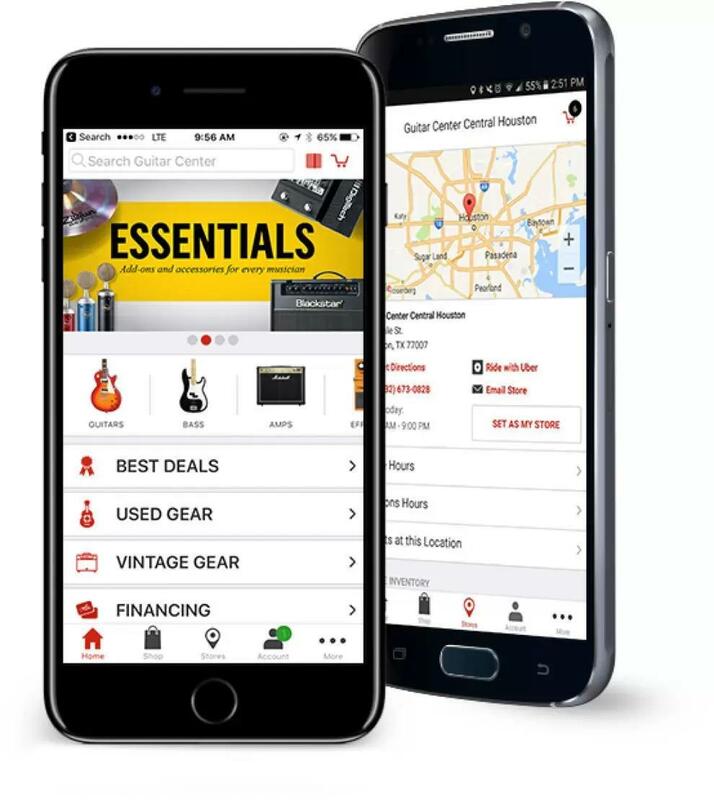 Come visit Guitar Center Totowa and take a look at our Platinum Room, which makes us the top spot in New Jersey for boutique and vintage guitars and amplifiers. Or, if you're a beginner, check out some of the affordable starter instruments in our main showroom. Searching for drums, keyboards or pro audio equipment? No worries: we've got all that, too. But the best part of the whole experience might be our expert staff, who have the know-how to guide you through the process of choosing and setting up the perfect gear for you. Get all the details by dropping by in-person, or by giving us a call at 973-837-0855. Guitar Center Totowa provides comprehensive guitar repair services for the Totowa area. Our repair technicians are as passionate about your guitars and basses as you are, and we have the experience needed to keep them performing at their best. Whether you need a quick adjustment to make your guitar easier to play, or a complete guitar rebuild, we have the tools and know-how to take care of your instrument. Guitar Center Totowa can also help build a maintenance plan that fits you and your guitar or bass needs, including custom setups, restrings and more. We also take care of fret repairs, hardware and pickup installations, upgrades and customizations, bone and graphite services and more. At Guitar Center Totowa, we have one of the largest selections of musical equipment in the area, which means you can find the gear you need at a price that can't be beat. Located on Route 46, off Union Boulevard near I-80, we're just a 20-minute drive from the George Washington Bridge or the Lincoln Tunnel. That puts us in a prime location for musicians from inside and outside NYC alike, so whether you're on the east or west side of the Hudson, you can trust us to help you make music happen.First and foremost at Guitar Center Totowa, we strive to give you the experience that Guitar Center is known for nationwide: big-store selection and prices with small-shop expertise and personality. From sales, repairs and rentals to the Platinum Room, our staff in every department is well-trained to cater to music-lovers from New Jersey, New York and beyond. Our store is open every day of the week, so there's always a right time to visit even if you're on a busy schedule.